A sepia landscape, static as an old photo. 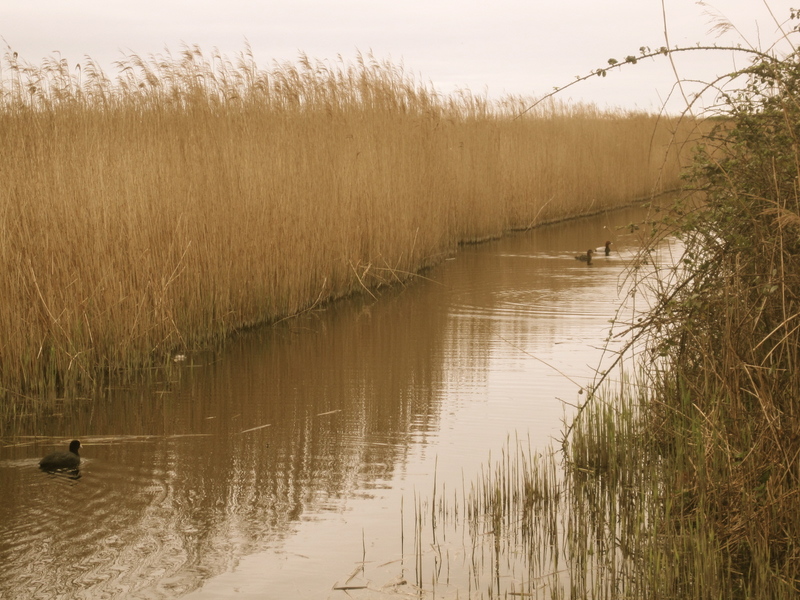 Silky shawls of brown reeds fringing still water. 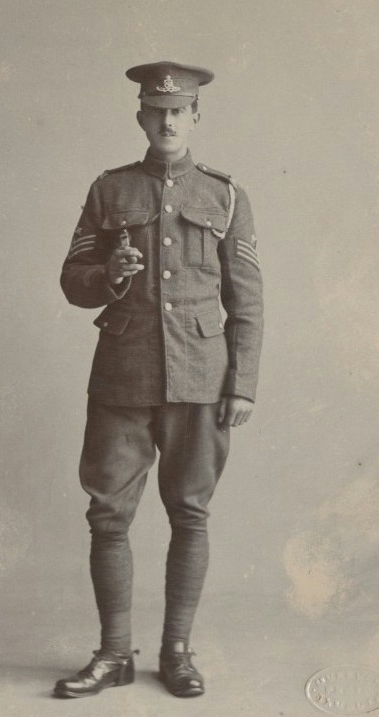 A hundred years ago the country was on the brink of war – the lull before the world changed forever. I thought about my grandpa and his diary of the conflict, charting his journey from country lad to gunner. 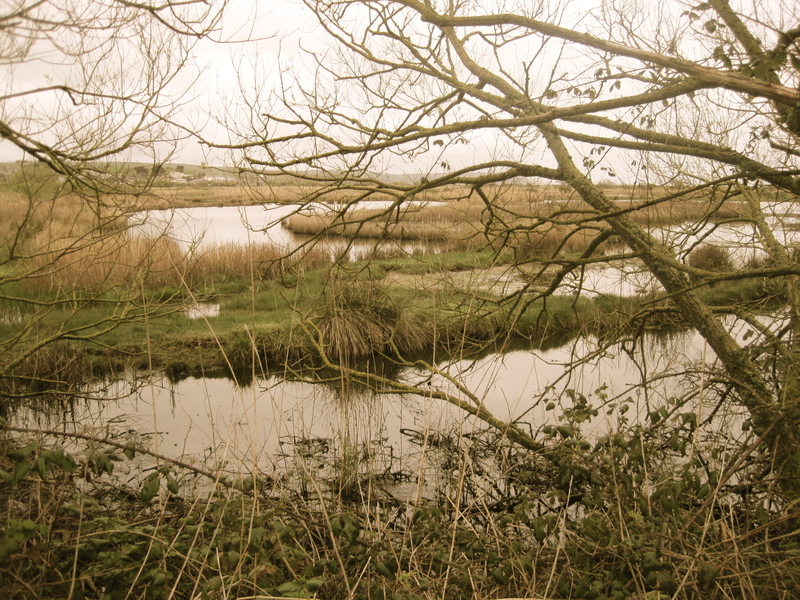 Lodmoor is the perfect habitat for herons, egrets and a home for the European eel. 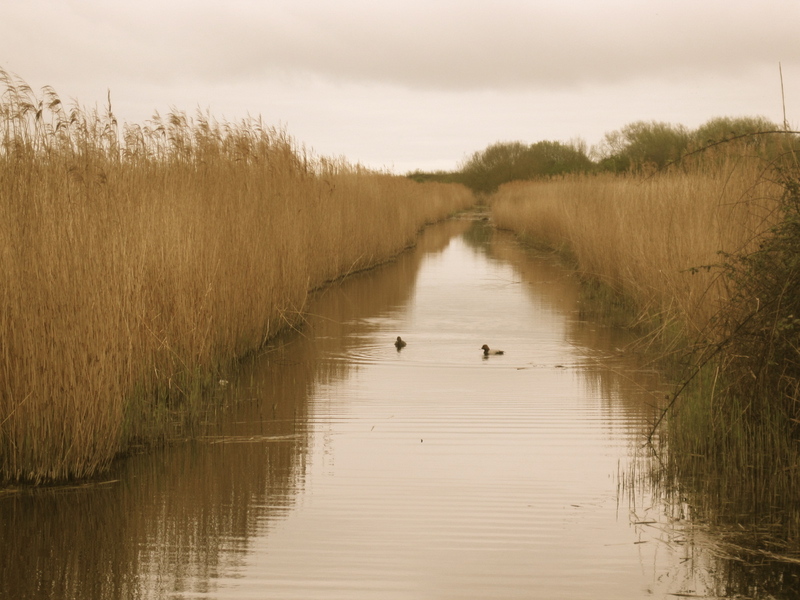 A splashing sound in the reeds made me stop – may be an otter, but I couldn’t see anything. Today was a day of sound and imagination, in the absence of colour and clear views. I heard a sound like a small donkey coming from the torn edges of the reeds – a Canada Goose. 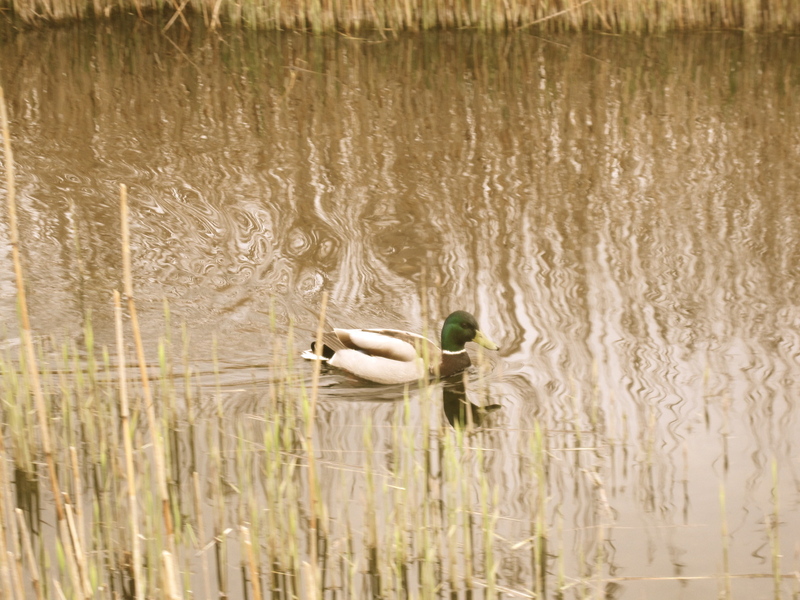 Mallards, Pochards, Coots and Swans were all gliding in slow motion through the still water, their outlines broken up like frames from an old film as they passed behind the stems of the reeds. The air was smoky with clouds of pollution blowing from Europe. Overhead three Marsh Harriers were silhouetted gliding against the haze – two females and a male. One of the females had lost several primary feathers from one wing and part of her tail, giving her a vulture-like look as she circled clumsily waiting for a kill. Suddenly I heard what I had come for – the hollow rhythmic booming of a Bittern. One, two, three times like the distant sound of a heavy gun.